This second Bombadil record picks up where the first left off, this time having captured Stuart Robinson just prior to his departure. It's mostly quite pleasant, in every sense of the word, and this is, as with the band's earlier material, a very safe, intelligent sort of folk-pop, though there's a touch less of the Bolivian influence that marked A Buzz, A Buzz. On the other hand, there are songs like “Reasons,” a beautiful ballad and reminder that it's better to love in frustration than to have never known love at all, and there's a mind on marriage throughout the record. See the hesitant piano ballad “Marriage” (“what would you say to marriage/after the 200th time I told the same joke/and then I broke your favorite watch with my heel”), or downer love story “Cold Runway.” Between these and the tribute to a successfully suicidal roommate, "Matthew," it should be the highly literate, genuine lyrics that make Bombadil stand out among an array of those safe folk-pop bands. On a side note, the band's Daniel Michalak has tendinitis, which will keep them off the road for a while. Ergo, you can support Bombadil by buying this record. 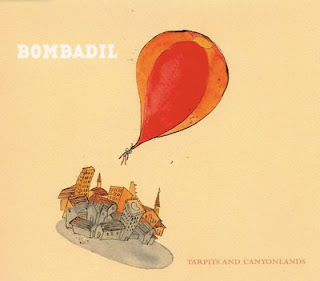 Additionally, a more thorough introduction to Bombadil can be found on this lovely site.